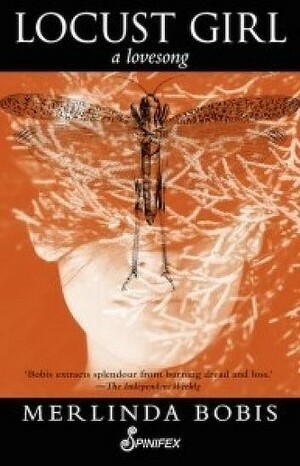 Locust Girl by Merlinda Bobis, Spinifex Press 2015, was launched by Bruce Pascoe at Collected Works Bookshop in Melbourne on 31 July 2015. The only thing you can say about this appalling Australian week is that finally we have to admit that, yes, we are a racist country. The very foundation, federation and constitution of the country is racist, deep and fundamentally in the core of the Australian heart. This is a good thing because we might recognise ourselves and wash our hands of the myth of fair go Australia. Like the wonderful old Liberal, Fred Chaney in today’s Age I say this with enormous sadness, not the smug glee of someone having been proven to be right, but bone weary sadness. Australia will hurt now and like a wolf with a leg caught in a trap it will turn on itself and slash at the offending limb that has betrayed it. There will be many more hurtful days ahead for the wolf and the horror of realising that it is no longer a whole wolf. The Adam Goodes affair has exposed the national soul just as national souls have been exposed in the past. It was said of the Holocaust that bad things happened when good people remained silent. How many people were booing Goodes? It doesn’t matter because the rest of the crowd stood by in silence so the booing could be heard, just as the crowd stood by to see women stoned to death who were suspected of sins against Mohammed. Australian writers and intellectuals have stood silent in a mob for two hundred and twenty years as their fellows constructed an excuse for the dispossession of Australian Aboriginal people. Few good books and even fewer good paintings have decried this shallow and facile pretence. Frequently we were amazed when a foreigner saw through the national ruse. Almost all the archaeologists and historians who exposed the sham of Australian sovereignty were from overseas. Today most of those who are raking through the forged papers of our history are women. Might I take a moment to single out the people who risked their own academic careers to tell the world that the emperor had no clothes: Heather Builth, Heather Le Griffon, Janet Hope, Elizabeth Williams. Most Australians wouldn’t recognise any of those names and in the current climate never will. Much as I like her, and admire her writing craft, Kate Grenville is not amongst those women. Australia likes to think Grenville has solved the mystery of Australian nation building but I believe, and I have spoken to Kate about it, that books like Secret River and Cloudstreet merely serve to make Australians feel comfortable with their history. A few nasty incidents but then, voila here were are in possession of someone else’s country. Sometimes it takes foreign eyes to see the country’s fable for what it is. Melinda Bobis has foreign eyes. When we were publishing Australian Short Story magazine between 1982 – 1999 Lyn and I built window seats into the lounge room of our house at Cape Otway. We stored the incoming stories in boxes beneath the seats. On average 120 per week. We would sit on the window seats and read with our dog, Reg, curled behind our knees. With any luck sun would be shining its balm through the window and a koala would be riding the pitch of a slender manna limb like an old world sailor in the crow’s nest. Most of the stories we read spoke from the hearts of their writers and most had something prescient to say about life but few were as skilled as the deft koala who managed his weight in a bucking wind while clinging to a lemon yellow branch no thicker than a small girl’s wrist. But once maybe twice a week you would come across the art of writer that rivalled the brave koala’s dexterity. We knew only a handful of writers personally and that was an enormous advantage because we were not corralled by fame or reputation. When Gillian Mears turned up out of the blue we shifted into a more comfortable position, eased senior editor Reg a little to the left, he always favoured the left, and we sat up a little straighter because we knew we were in the presence of a great mind. I didn’t know Carmel Bird from a Red Shoe but I soon learnt to recognise her style in the hubble of those cardboard boxes. Olga Masters, Elizabeth Jolley, Graham Sheil, Beverly Farmer and Kris Kremmer tried to sneak through the pile incognito but Reg was wise to them. I remember reading a story one day where the world suffocated you with its heat and lush, flopping leaves. The scents of spice clung in your nostrils, the rampant, sweating beauty of that world had you fanning yourself with the pages. It was Merlinda Bobis. Who the hell was Merlinda Bobis? Reg didn’t care, he was always partial to a bit of humid, fecund weather. We published another of her stories where politics crept about in those streaming jungles and as the years went by we saw the novels arrive and of course, they were published by Spinifex. Spinifex began at around the same time that we were publishing and we knew enough about the industry to admire the blind courage and the refined and belligerent taste. Spinifex may not like to see the word belligerent in the same sentence as their spiky grass but no-one survived in Australian publishing without belligerence and tenacity are those same two attributes are as essential to the writer as skill. So I knew Merlinda’s writing and I picked up Lotus Girl preparing to tread the jungle paths where huge, bright flowers lolled and secret waters murmured but instead found myself down a hole in the desert. The desert is uncomfortable and unyielding and this story unfolds in the same prickly inscrutability. Stateless people are on the border of an affluent ‘green’ country and the Greens manipulate the political systems and history to paint the stateless people as evil and torment them into dependency. Sound familiar? You’ll Meet the Minister for Mouth, the Minister for Legs, the Minister for Arms and the Honourable Head. You have every right to feel despair. This critique of a wealthy country in its treatment of its neighbours is very timely given the posturing of this country in relation to the desperate refugees on its border. And, as so often happens, it takes a foreign eye to witness it. Locust Girl has echoes of Wright’s, Swan Book, not only in its inscrutable story telling but the ferocity of its politics. But then again Australia believes Wright has foreign eyes too. Congratualtions to the poor of the desert. Bruce Pascoe is a Bunurong man, a member of the Wathaurong Aboriginal Co-operative of southern Victoria, and an awarding winning Australian writer, editor, and anthologist. The Locust Girl is available for review. If you are interested in writing a review of Locust Girl for Rochford Street Review please email us to discuss rochfordstreetpress@gmail.com. This entry was posted in Bruce Pascoe, Issue 15, Locust Girl, Merlinda Bobis, Spinifex Press and tagged Adam Goodes, Cloudstreet, Collected Works Bookshop, Elizabeth Williams, Fiction, Fred Chaney, Heather Builth, Heather Le Griffon, Janet Hope, Kate Grenville, Secret River by Mark Roberts. Bookmark the permalink.